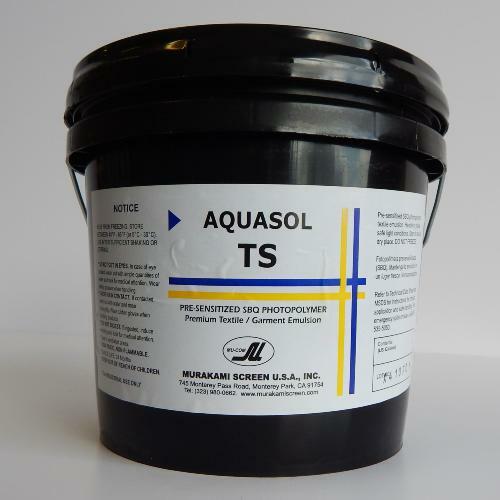 Murakami Aquasol TS is a premium textile emulsion. This fast exposing emulsion creates durable sharp stencils for any ink system but is used manly for Water based, Plastisol and discharge textile inks. To give longer life whilst printing discharge and water based inks, the addition of diazo and application of Murakami Hardners can help prolong this.